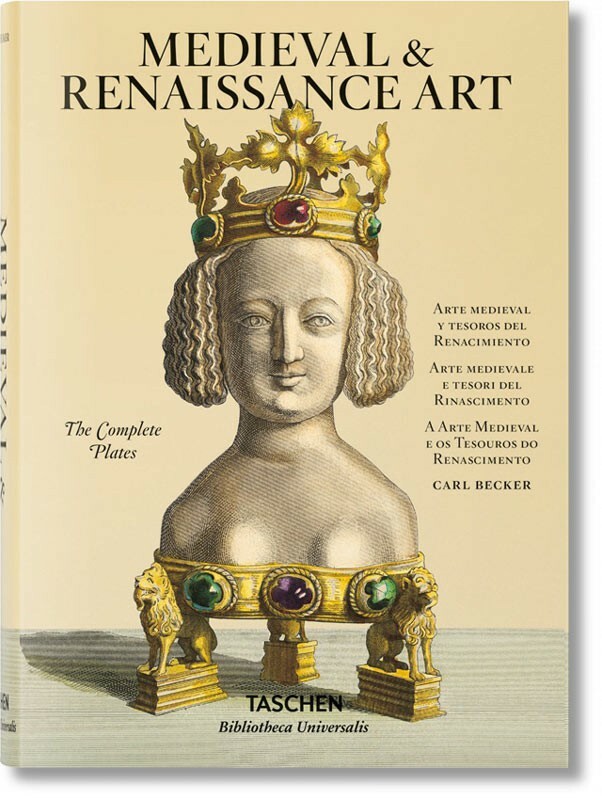 When Kunstwerke und Geräthschaften des Mittelalters und der Renaissance (1852–1863) was published, what purchasers in fact bought was a printed museum. 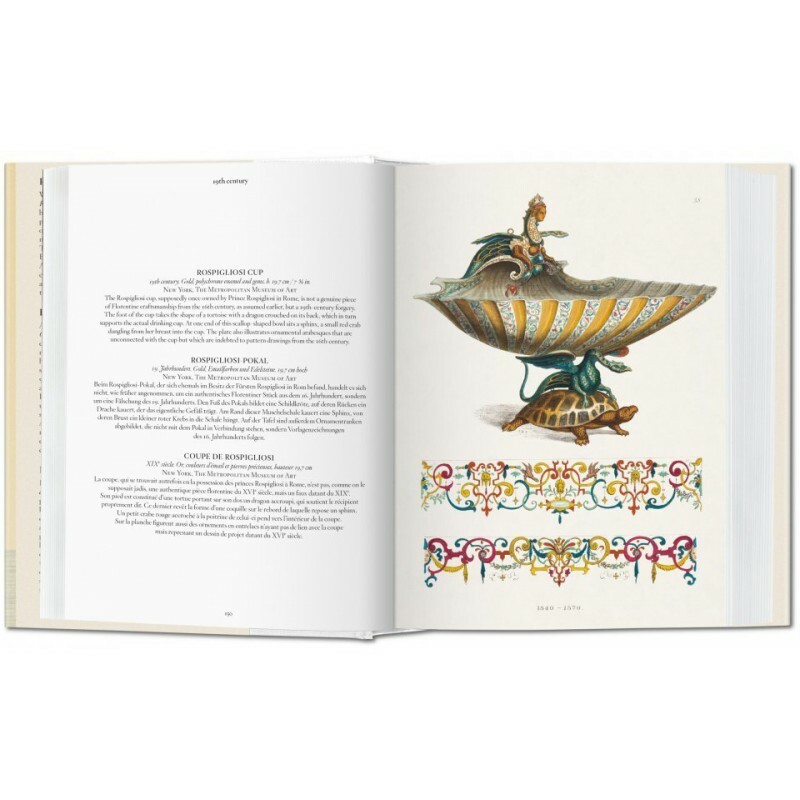 With 216 hand-colored copperplate engravings, the publication gives a comprehensive overview of applied arts in Europe from the 9th to the 16th centuries, spanning furniture, metalwork, jewelry, tapestries, and bookbinding. 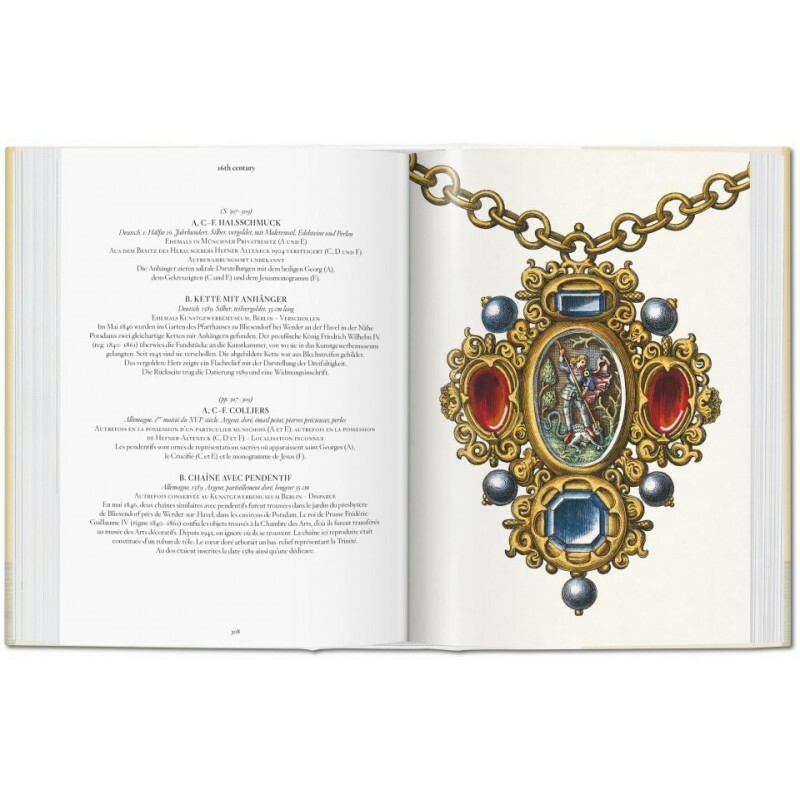 The book’s lead editor was well placed to select masterpieces from the Middle Ages through to the Renaissance from both public and private collections. 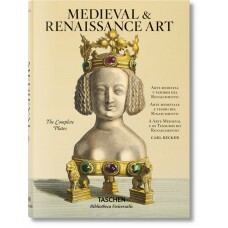 Jakob Heinrich von Hefner-Alteneck (1811–1903), was head of the Royal Cabinet of Prints and Drawings in Munich and later director of the Bavarian National Museum. 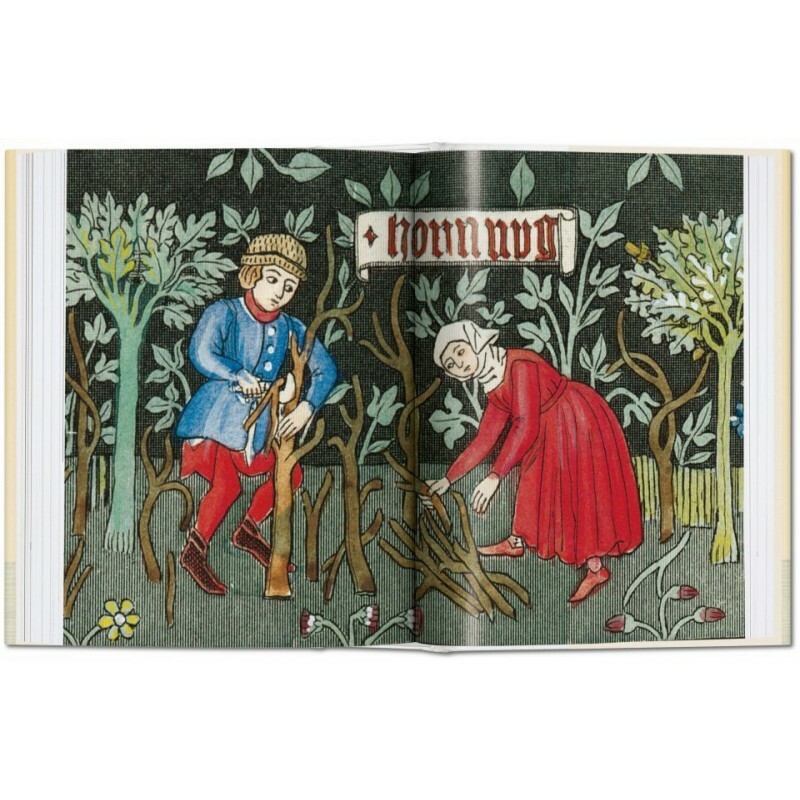 The signatures on the plates of Kunstwerke und Geräthschaften show that he was also the work’s main draftsman. 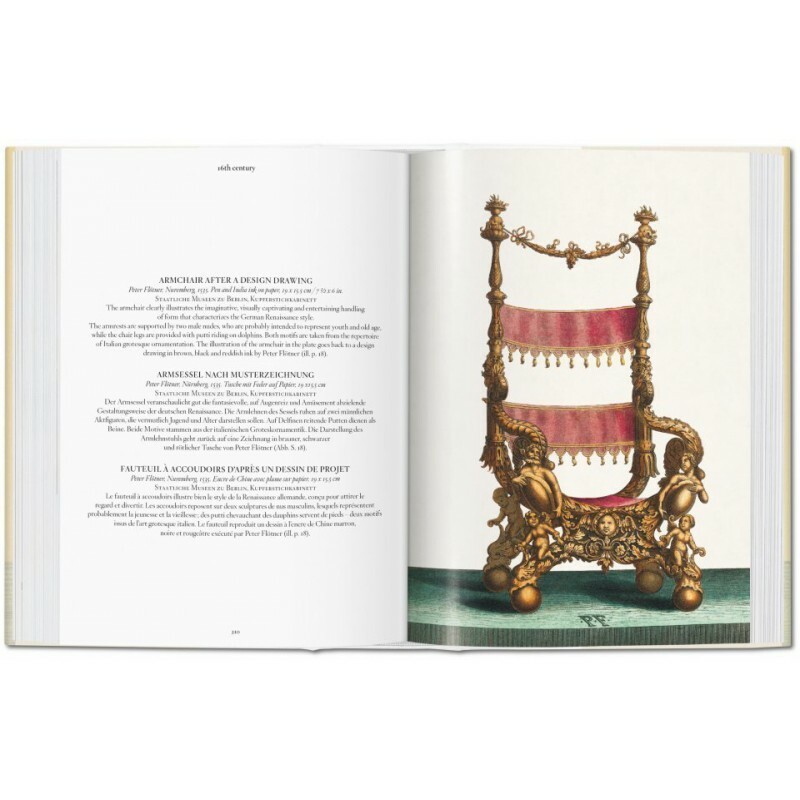 As much an artwork in itself as a collection of applied arts over eight centuries, this exquisite catalog is now revived in a compact TASCHEN edition. 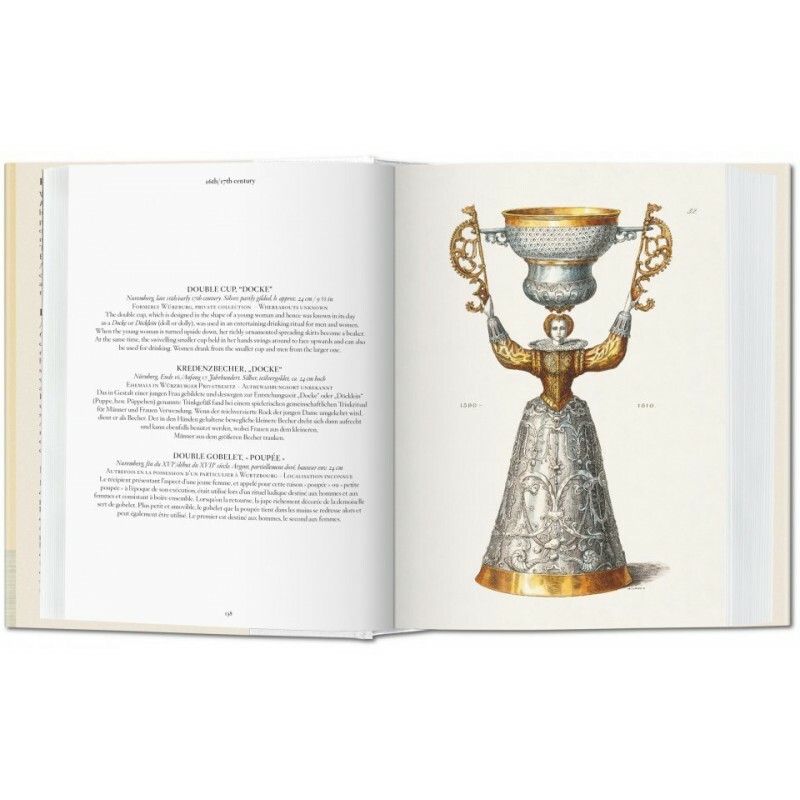 From delicate jewelry to the most elaborate goblet, it offers the contemporary reader both a record and a sourcebook for all that can be achieved by the human hand and creative imagination. 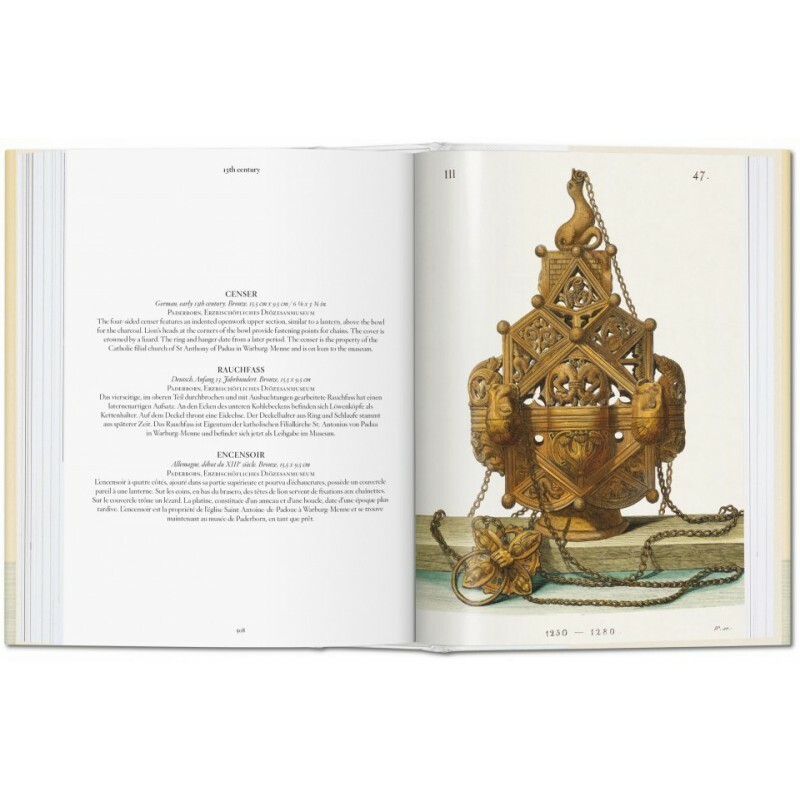 Carsten-Peter Warncke studied art history, classical archaeology, and literature in Vienna, Heidelberg, and Hamburg, and received his doctorate from the latter in 1975. He is professor of art history at the University of Göttingen.